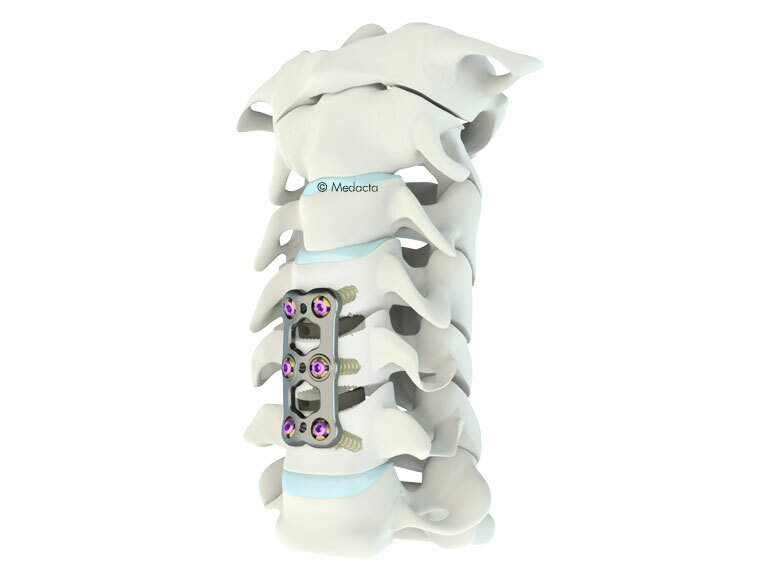 The Mecta-C family of Cervical Interbody Fusion Cages and Anterior Plates represent a complete system to fuse and mechanically support the cervical spine in case of degenerative disease, trauma, tumors and deformity. 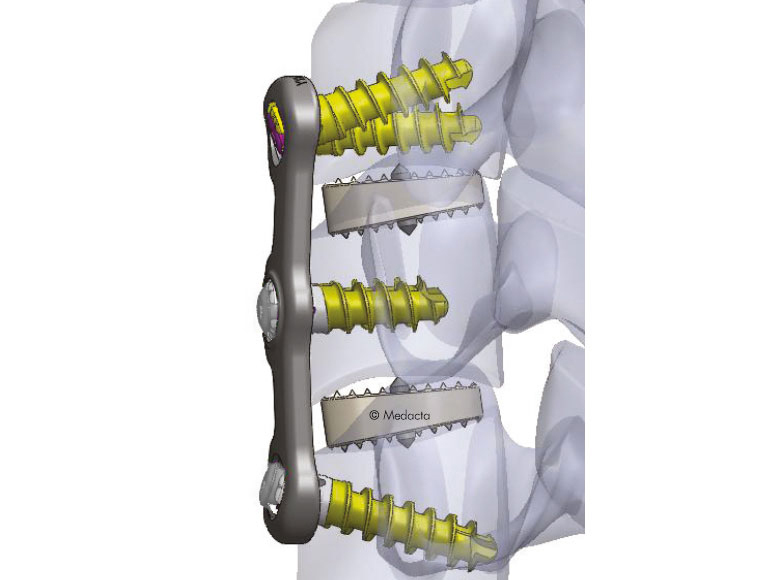 The Mecta-C Cage System consists of PEEK and titanium coated PEEK intervertebral fusion devices capable to offer effective load sharing and biocompatibility. 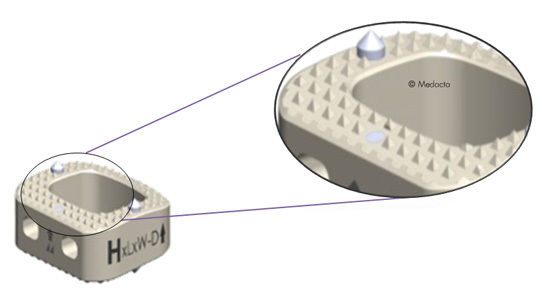 The Mecta-C Plate System is designed to offer biomechanical stability in situ and flexibility in terms of implant range and configurations. 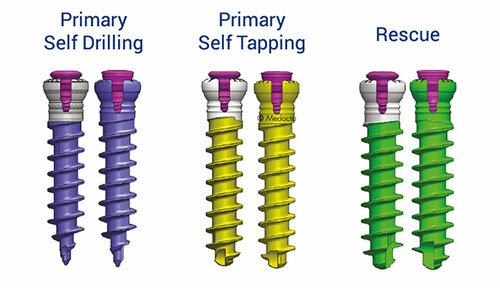 Self drilling, self tapping, and rescue screws are available to accommodate the surgeon’s needs in primary as well as revision cases. 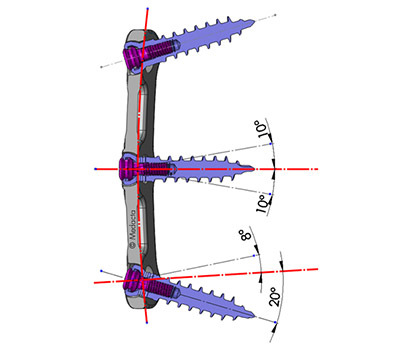 Anatomic design allows for proper fit. 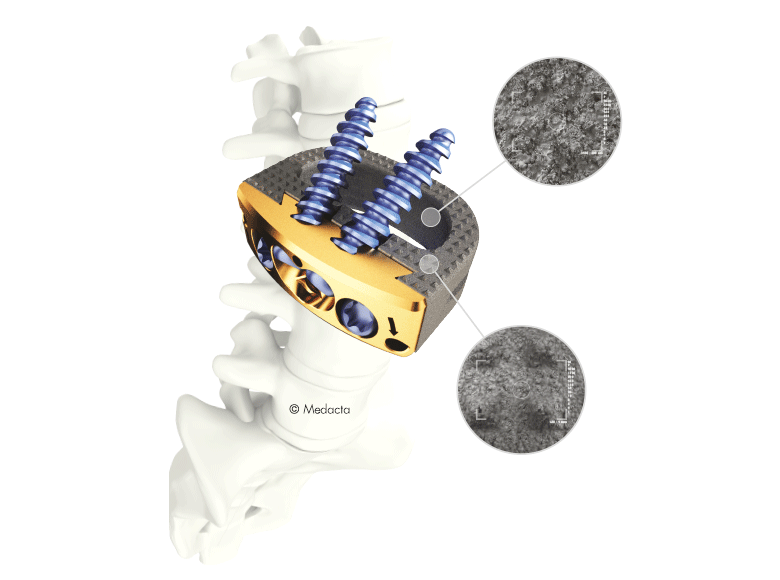 Up to 28° range of motion of the cranial and caudal screws allow the surgeon to choose the desired screw trajectory according to patient specific anatomies. 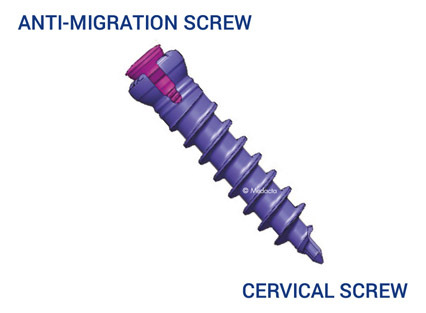 The anti-migration screw expands the head of the cervical screw and locks it into the plate. 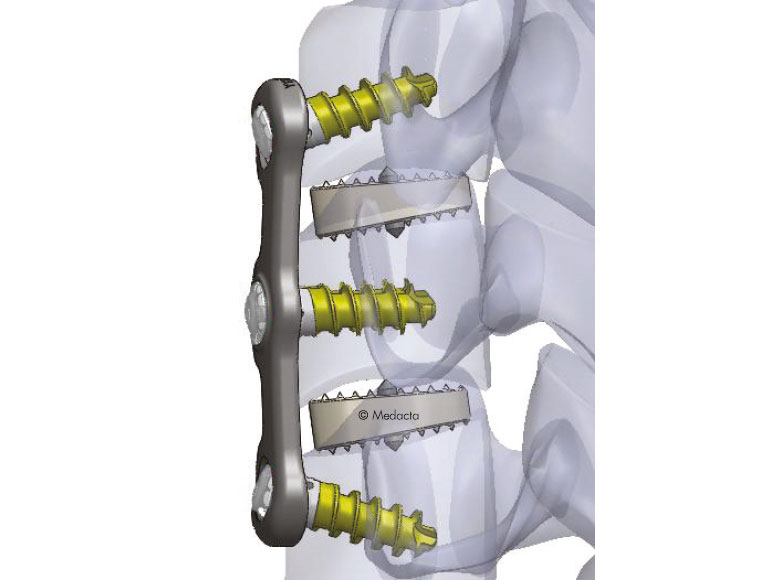 The large central bone graft area may help bone fusion through the implant. 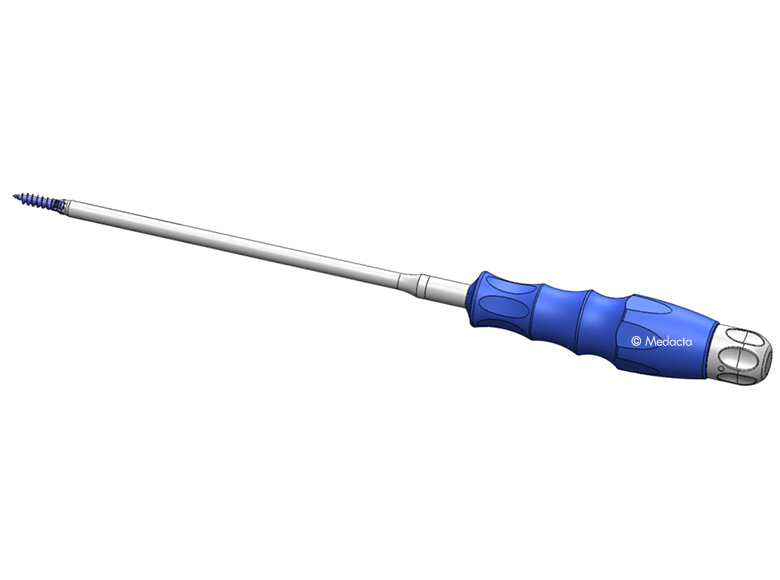 The radiolucency of PEEK provides a clear radiographic assessment in combination with the radio opacity of the tantalum markers that allow the surgeon to verify the correct implant position. 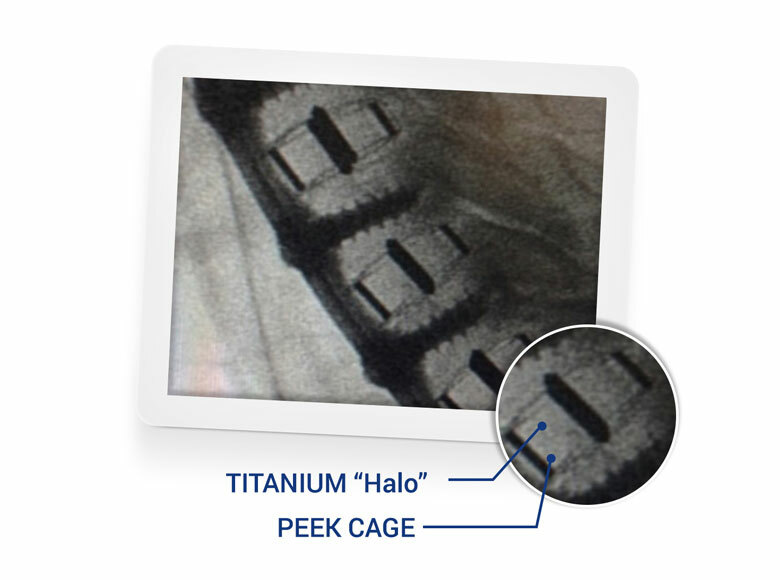 The titanium coated cage (Ti-PEEK) further supports the correct implant alignment thanks to the external titanium “halo” visible on imaging . 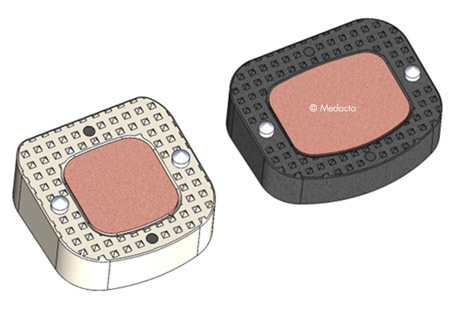 The Mecta-C System has one dedicated instrumentation set compatible with both cage and plate insertion. 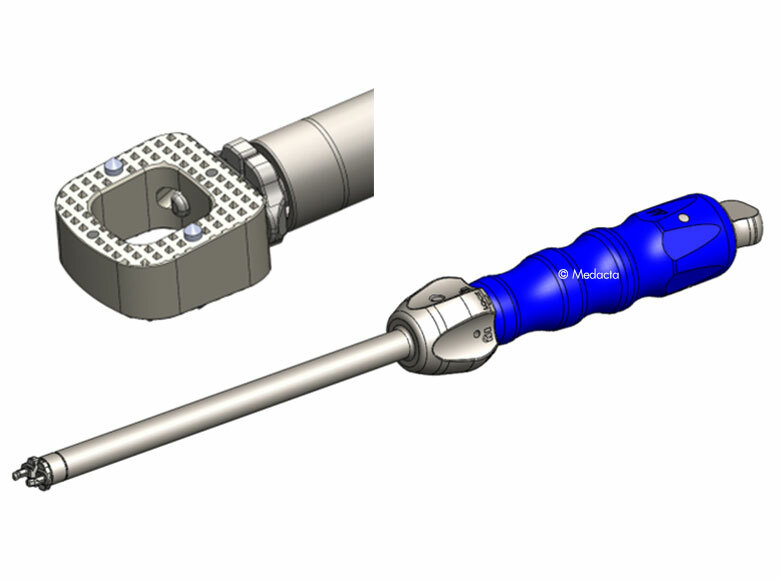 Standard screwdriver with high torsional stiffness. 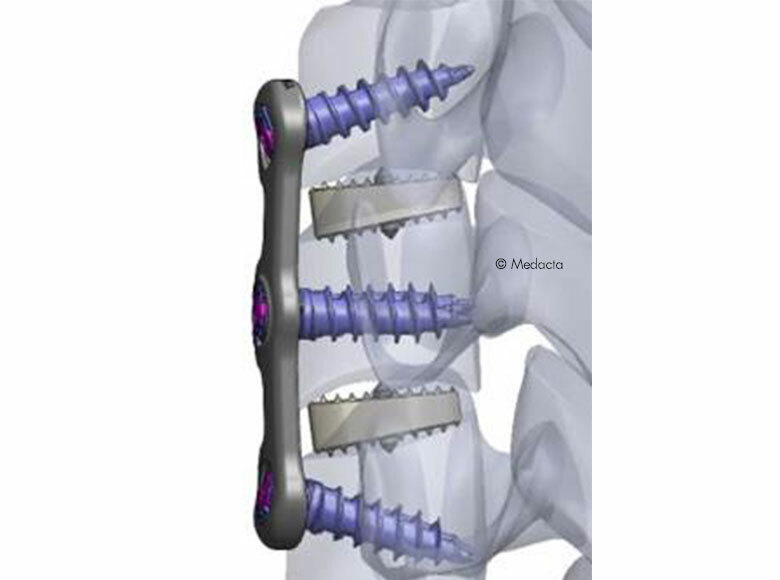 Chin KR, Eiszner JR, Adams SB Jr. Role of plate thickness as a cause of dysphagia after anterior cervical fusion. Spine (Phila Pa 1976) 2007;32:2585–2590. Lee MJ, Bazaz R, Furey CG, Yoo J. 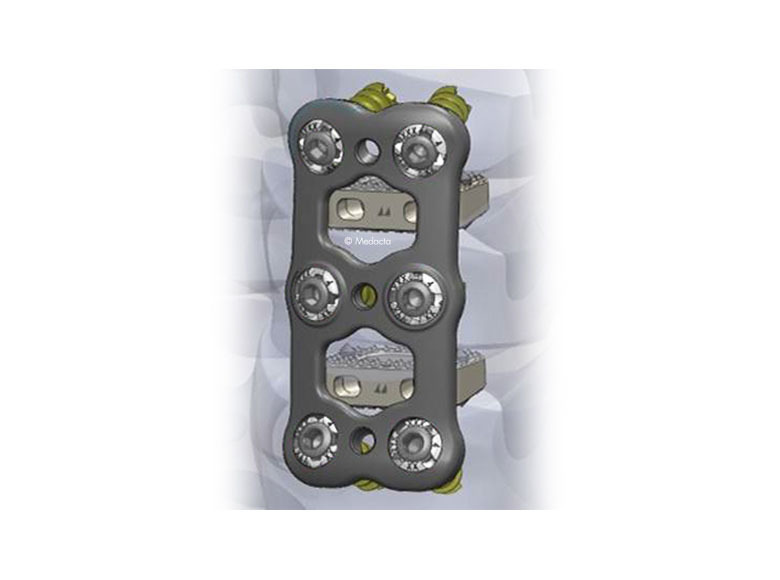 Influence of anterior cervical plate design onDysphagia: a 2-year prospective longitudinal follow-up study. 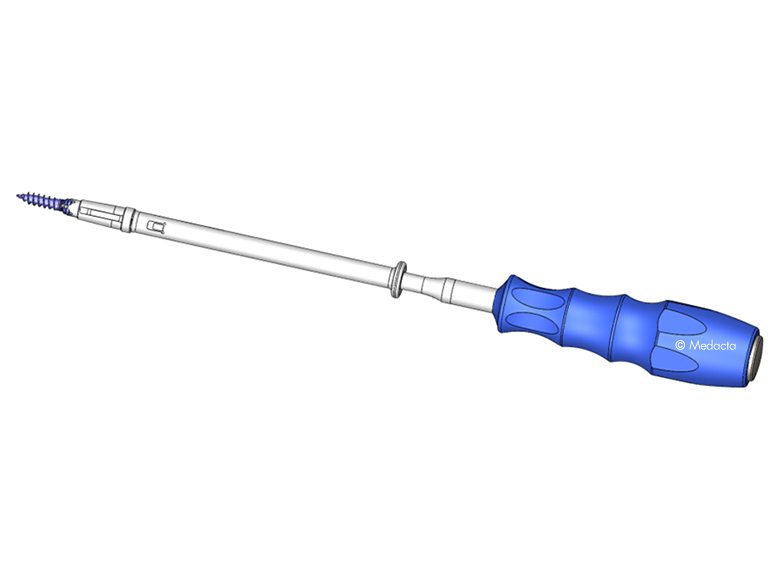 J Spinal Disord Tech 2005;18:406–409.